Whilst the bark has also been employed in traditional herbal medicine, especially as a wound wash, this article focuses on the dried leaves which can come from several different species of Birch, itself a most familiar tree that just about anyone can identify from all over the world for its silvery-white bark that peels off in layers along with its lovely and distinctive, slender, drooping branches and leaves. David Hoffmann writes 'Birch leaf is an effective remedy for cystitis and other infections of the urinary system and helps eliminate excess water from the body. 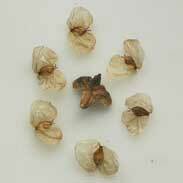 Perhaps because of this cleansing, diuretic activity, the plant has been used to treat gout, rheumatism, and mild arthritic pain. Hoffmann suggests doses of 1-2 mls of the tincture or 1-2 tsps of the dried leaf in a cup of boiling water infused for 10 minutes. 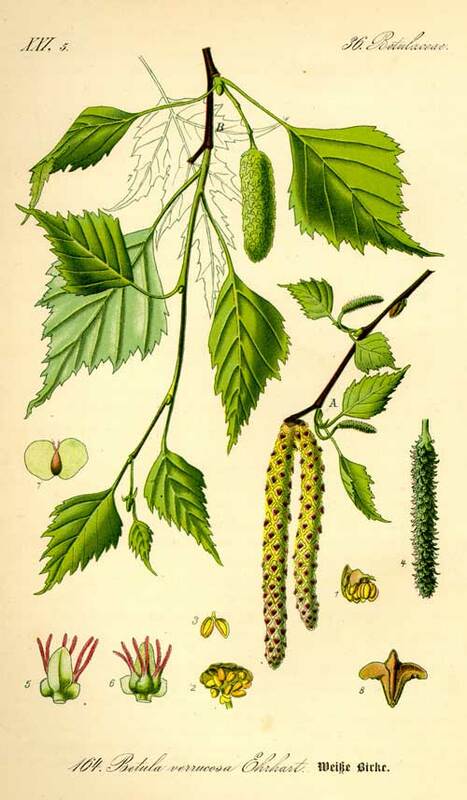 Thomas Bartram describes the actions of Silver Birch as 'astringent, bitter, anti-inflammatory, cholagogue, diuretic, contains salicylates that have an aspirin-like effect' and he recommends it 'rheumatism and gout (dried leaf tea), sluggish kidney function, heart oedema, cellulitis due to the retention of metabolic wastes'. Bartram suggests a dose of 1 tsp of dried leaves to a cup of boiling water. ~ The German Commission E monograph on Birch leaf gives a positive report for its use in rheumatic disease as well as a diuretic for treatment of bacterial and inflammatory diseases of the urinary passages. 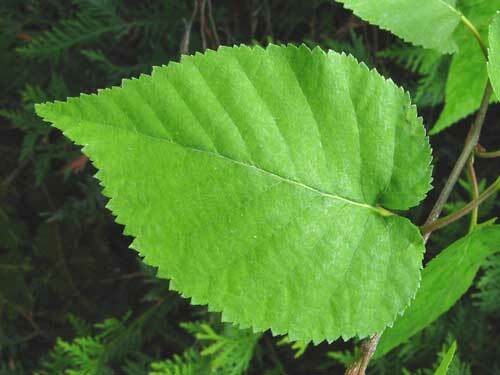 When needed, Birch leaf can be used with confidence by all ages and by pregnant or breast-feeding women; there are no adverse reports in the medical literature from its medicinal use. 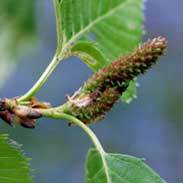 Birch is a superb remedy to gently and reliably aid the essential cleansing process. 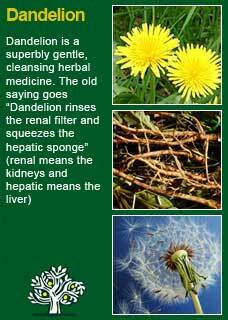 It is certainly very effective as a cleansing tea and can be given with great benefit in this traditional form. However, I have also found it to be highly potent and reliable as a tincture as well, where just 1 or 2 mls in a dose seems to be plenty to activate the cleansing process. It can clearly be of great help in cases where there is fluid retention or when the joints are stiff, sore and inflamed and we want to help cleanse the tissues through flushing out waste products via the kidneys. 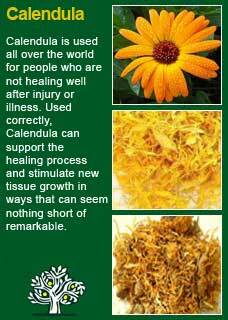 I think of it as a herb that can especially help with hot, acidic, hard and stuck conditions, particularly in the joints but really anywhere where easeful, fluid movement is being restricted. One of the things I love about Silver birch is that you may have a patient who has come in with some more pressing troubles that need the bulk of the therapeutic plan to be directed to them, but they may also have some congestion with associated joint troubles that is relegated to a 'background problem'. Adding a little Birch to the treatment plan in such cases will not detract from the other herbs that may need to be taken in more substantial doses, and it will be sure to help. 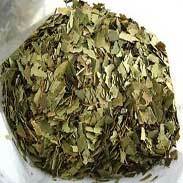 If you who are reading this are studying herbal medicine or just want to get to know this plant more deeply for your own good reasons, then you might want to acquire some Birch leaf or Birch extract and take a dose of its tea or tincture with a quiet and attentive mind so you can experience its qualities for yourself. 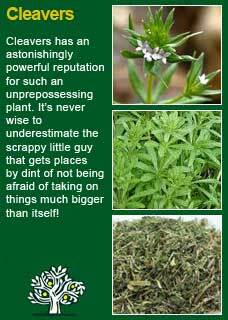 I think you will find that it reliably produces a rather distinctive 'action' that will give you an appreciation of the herb beyond the limit that an academic understanding can bring you to. I think you may well reach a personal understanding of why it is such a potent, energetic, deep-reaching medicine that has rightly been revered since ancient times for its ability to aid and support us. 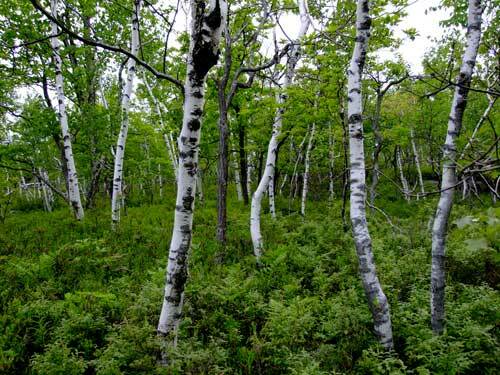 The history of Birch, for medicine, for writing, for travelling by water, is interwoven with the history of humanity. This tree has been loved and appreciated for millennia by all cultures where it grew, often planted into circles to create a sacred space for ceremonies or seekers. If you have a Birch tree somewhere around you that you can regularly see, I encourage you to get to know it through its seasons and to regularly take in some of its essence through touching its bark, even perhaps chewing on a leaf from time to time. 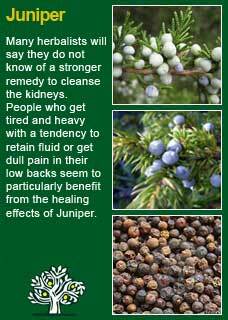 There is some potent plant medicine for both the mind and the body in this beautiful, graceful and generous tree. It brings softness into that which is too hard, a return to fluidity when things have become stuck. Birch combines perfectly with other great cleansing herbs such as Juniper berry, Dandelion leaf and root, Cleavers and Calendula. It always mixes well with other herbs and, because it is a potent herb that does not require large amounts to take effect, it is easy to add a small amount of Birch to a formula so it can lend its sure and gentle hand to the work. Much of the information here about the traditional uses of Birch is consistent with the model of thinking whereby one may treat problem A with plant B. There is value in this approach, especially in how it helps us pass on useful knowledge to one another, but it falls short in one vital area; and that is that people are not all cut from the same cloth! Something that works brilliantly for one person may do less for another -- why is this?